Stunning 3-Bedroom Ranch in The Hamlet ~ A Tranquil Refuge Nestled among Natural Surroundings ~ Abundant Trails to Enjoy ~ Beautiful Mountain Views! 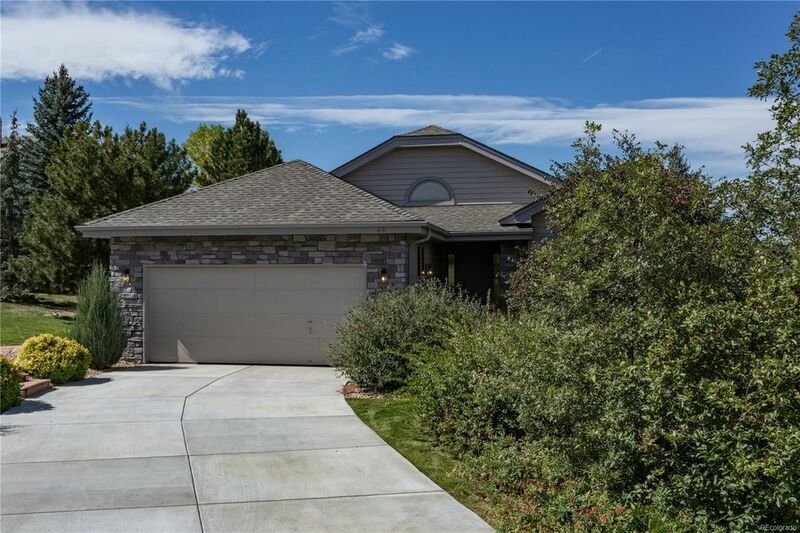 This fantastic home is set alongside the 6th Fairway and features a bright, open floor plan, 10 ft. ceilings for great flow. You'll love the Chef kitchen for entertaining in style--double ovens & stone tile island w/ breakfast bar and eating space & access to the deck and magnificent views. The family room features a 2-sided gas fireplace & built-ins. Spacious main floor master suite & 5-pc bath with dual sinks, jetted tub. Lg main floor office features French doors, Plantation shutters, custom built-ins. Full basement offers a rec/entertainment area, bedroom & full bath Lg deck is surrounded by mature trees, gorgeous landscaping & walking paths that lead to open space. New roof & driveway 2018, new exterior paint 2018, newer H20 heater, built-in deck speakers. A great neighborhood close to schools & easy access to highways.